Delivery time can vary by lens type - select your prescription to see an estimate for your order. New, exclusive LACREON® technology that locks in a moisture-rich ingredient that is 100% in the lens by the end of the day providing a silky smooth cushion throughout the lens. 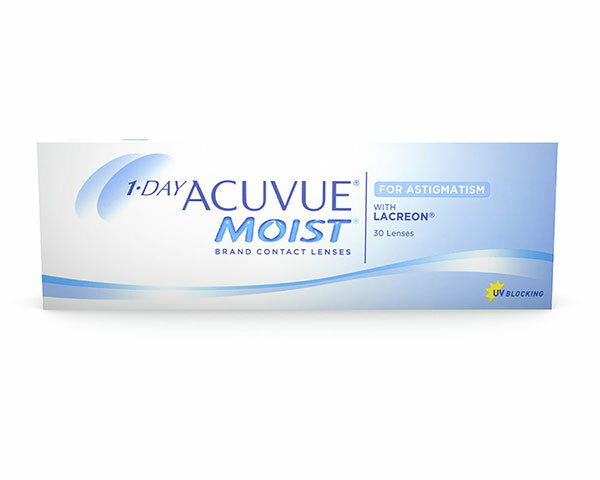 World-leading Johnson & Johnson 1 day ACUVUE® MOIST® FOR ASTIGMATISM daily disposable contact lenses are now available at Specsavers at great value for money prices.